From the great wine region of Piemonte comes La Tur: a dense, creamy blend of pasteurized cow, goat and sheep milk. Runny and oozing around the perimeter with a moist, luscious, palette-coating paste, its flavor is earthy and full, with a lingering lactic tang. Like ice cream served from a warm scoop, La Tur is decadent and melting from the outside in. One of the most important decisions the Caseificio dell'Alta Langa made was to pasteurize the milk at the lowest possible temperature allowed by Italian law. This means that the enzymes present in the milk are not all killed off during the pasteurization process, and it’s the enzymes that contribute to the final flavor profile of the cheese. While many young, soft cheeses are very mild in flavor, La Tur has much more character, definitely something cheese connoisseurs appreciate. The three milks—cow, goat and sheep—are combined in equal parts. Ladled into small molds and allowed to age for ten days. La Tur looks like a pastry in its own little paper cup. No one flavor profile dominates. You can taste the grassy, lemony tang of goat milk, the mildly nutty sheep’s, and the rich and buttery cow's cream. The three milks complement each other nicely, and this is another reason that La Tur has a relatively complex flavor for a young, soft cheese. Due to the light mold that grows on the rind of the cheese, it ripens from the outside in. At ten days old, the cheese is creamy inside the rind and fluffy towards the center. As the cheese ages, the outside layer becomes runnier and more pungent while the center becomes creamy. Eventually, the cheese is runny throughout. As with most cheese, La Tur is best served at cool room temperature to appreciate the flavor. 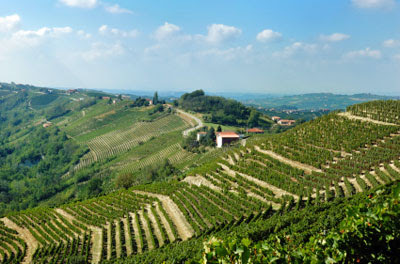 Try La Tur with a low-oak red wine like a Barbera, Dolcetto or Nebbiolo, from the same Piedmont region as the cheese. If you want to branch out, one could pair the cheese with a equally bright, low oak wine like a Cru Beaujolais (Gamay) or light Loire Valley Red (Cabernet Franc) or sparkling white from Italy. "La Tur provides the kind of sensory experience that makes tasters roll their eyes skyward and lean back in their chairs." Janet Fletcher San Francisco Chronicle.